Bali is an island paradise located in the Indonesian archipelago. Also known as the land of the gods, it spreads its sheer natural beauty across an area of 5633 Km2. Bali is known for its serene forests, looming volcanic mountains, beautiful rice paddies, iconic sandy beaches and coral reefs. This has made it ideal for tourists ranging from the young backpackers to the super rich travelers. Bali has grown to be famous for its yoga and meditation retreats because of its richness of nature. Besides, the island also houses various religious sites, such as the cliff-side Uluwatu Temple. There is a range of beautiful and elegant hotels in Bali. Here are two fantastic hotel offers that will allow you to enjoy your stay in Bali while also saving money. Novotel Bali Nusa Dua is a modern hotel located in the gated and secure ITDC Nusa Dua. This prestigious hotel cost an affordable $81 per night. It features four dining options and a spa. The suites have an expansive living area, a kitchen and dining areas as well. This property is only a 7-minute walk from the beach. 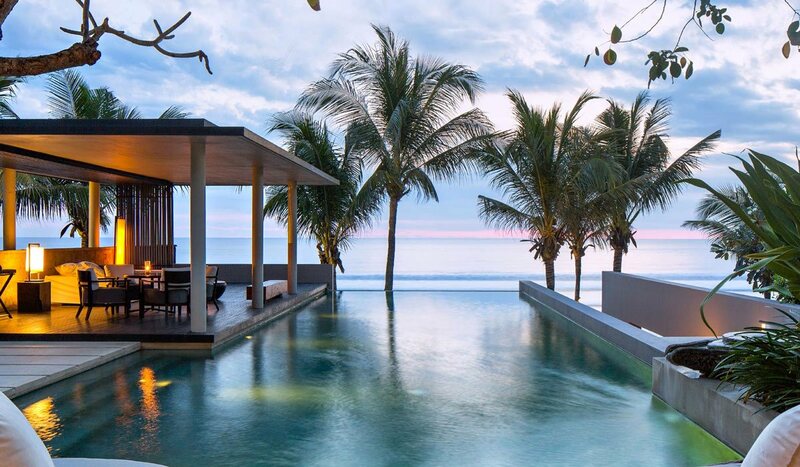 Grand Hyatt Bali is an elegant 5-star resort located in Nusa Dua. It has spacious rooms with large balconies overlooking the ocean. The hotel features eight dining options, a well-equipped spa, a kids’ club, and five outdoor pools. The hotel has rooms for as little as $144 per night. Grand Hyatt Bali is only a 5-minute walk from the beach. Bali is an enchanting island that will give you the experience of a lifetime. Besides the sites, you also get a chance to experience the Balinese culture as you transverse through its villages of Celuk and Mas. Adventure enthusiasts will find Bali a paradise.